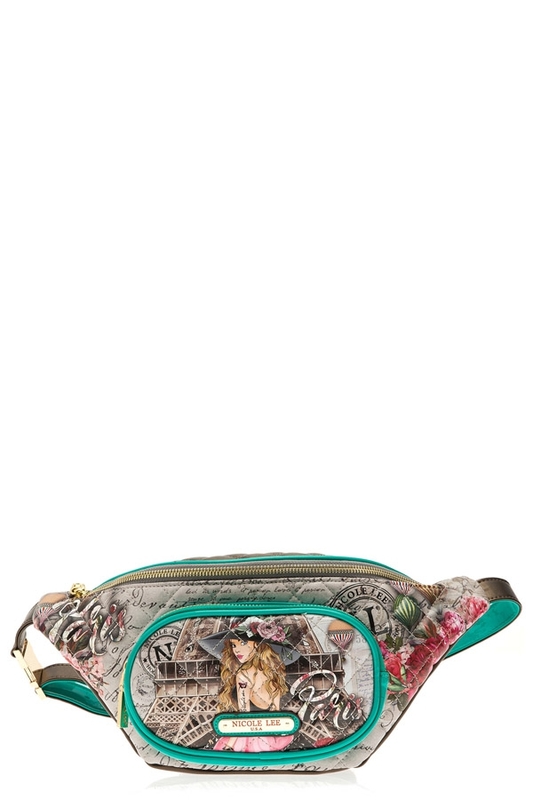 Old school is the new style, a must have, The Nicole Lee Presley Quilted Fanny Pack. Exterior Features: Made of quilted vegan leather. NL exclusive print at front. Metal zipper closure with NL monogrammed zipper pull. Adjustable release buckle. Gold-tone hardware. Front zip compartment. Structured silhouette. NL nameplate at front. Colors available are Vivian Dreams Paris, Super Roxana, Paola Is Tomboy, House Party.